The once-mysterious bright spots shining on the surface of the dwarf planet Ceres are getting their closest close-ups from NASA’s Dawn spacecraft, adding to the strangest sights of the solar system. 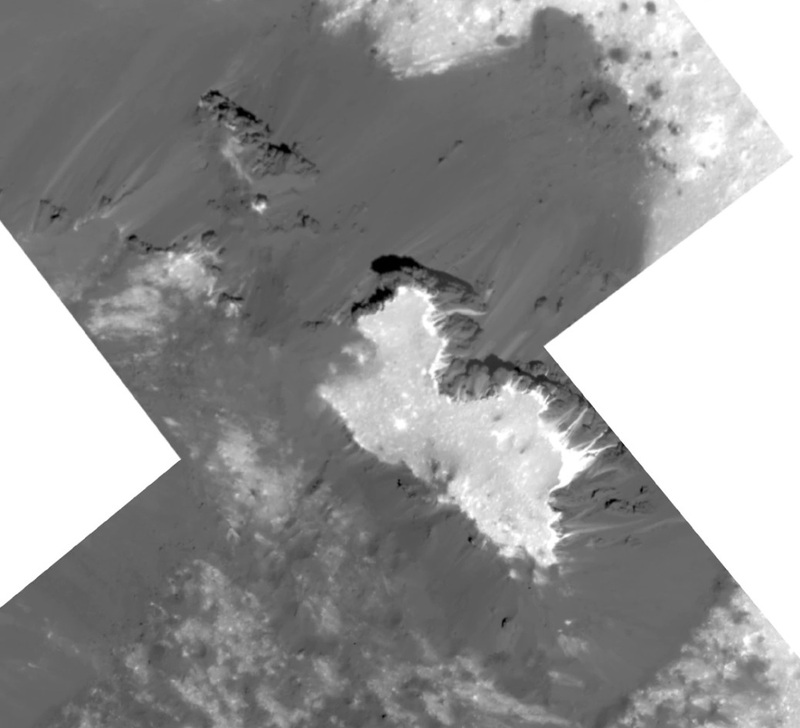 This week, NASA released a mosaic of images captured on June 22 from a height of 22 miles, showing mounds of the white stuff at the center of Occator Crater. Dawn’s current close-up orbit will serve as the last act of a scientific saga that began with its launch more than a decade ago and featured visits to Ceres and Vesta, the two biggest objects in the main asteroid belt. Ceres’ white spots shone brightly with reflected sunlight in the pictures that Dawn took from millions of miles away, leading some to dub them “alien headlights.” For a time, Dawn’s scientists puzzled over what they were made of. But the probe’s spectral readings confirmed that the material in the bright spots consisted primarily of sodium carbonate. This entry was posted in GeekWire and tagged Asteroids, Ceres, Dawn, Space. Bookmark the permalink.